5. Made famous by the 1986 teen movie “Can’t buy me love”. 3. Less expensive than lawn tractors. 1. Sit while you mow the lawn! Pros: Low cost versions available, great for mowing Medium sized yards. Cons: Regular maintenance required, larger storage area is needed. Features available: Rear or side bagging, mulching, self propel, electric start. 1. A rear mounted engine. 2. A small frame with small front wheels. 4. Few, if any available attachments ( such as snow blades, snow throwers, etc). Even the best riding lawnmower is made to do just one thing: mow your lawn. The attraction for these machines had to do with their relatively low cost, ease of operation, and smaller space needed for storage. 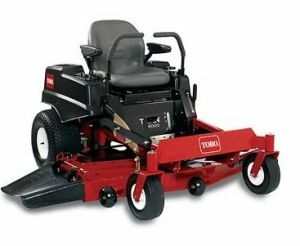 Over time, the riding lawnmower has been eclipsed by lawn tractors and Zero Turn Radius ( ZTR) mowers. This is where the confusion begins. Many people identify lawn tractors and ZTR mowers as riding lawnmowers. Technically, this is not correct. Today, only Snapper and Sears offer a riding lawnmower. 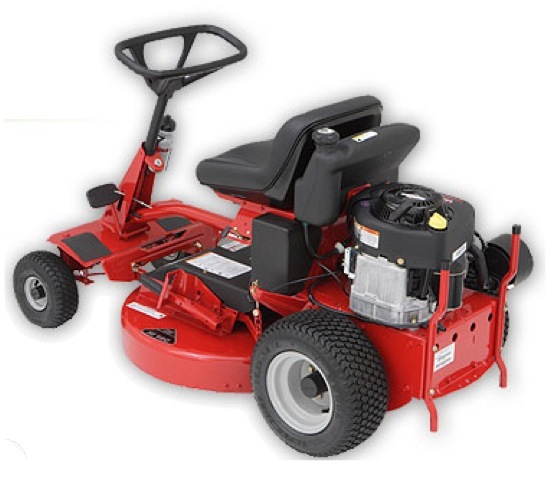 The reviews for the best available riding lawnmowers are linked below. In contrast, lawn tractors are large, husky machines designed to be versatile hired hands around the home spread. The engines are always mounted in front of the drivers seat, and are generally much more powerful. Attachments galore are available. The top of the line models even feature hydraulic ports to power rotary brooms, rototillers, and the like. The mower deck can be removed if needed during the winter months. By far the most popular machines for use around the homes, they have far out paced riding lawnmowers for most customer’s needs. 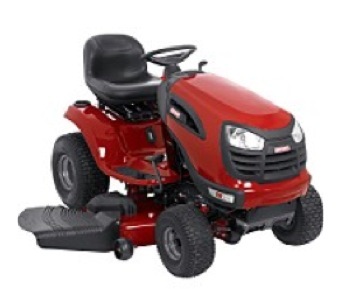 Take me to the lawn tractor review page to explore the major brands and features. There is nothing like a ZTR mower - nothing. These machines are designed to mow grass as quickly and efficiently as possible. Ask no questions, take no prisoners seems to be the motto of these machines. They do one thing in life ( mow grass), and they do it very, very well, thank you. No mamby pamby attachments are even considered. When the snow flies, put the ZTR in the garage until spring for a well deserved rest. ZTR’s sport the best transmission, the most powerful engines, and as the name implies - well, nothing turns tighter than zero. The mower even forsakes a steering wheel, opting instead for dual hand lever controls instead. Want to move ahead? Push both levers forward. Want to turn so sharp your inner ear will cry for mercy? Pull one of the levers back hard while the other is kept forward, and watch this baby perform. Even the best riding lawnmower cannot compete with ZTR! Return Home from Finding the best riding Lawnmower.